This premium business centre, romantically housed in a converted cotton mill, offers excellent working conditions. It is strategically situated just north of Manchester with good accessibility to the M60 and MediaCityUK in Salford, where major UK media and creative players are based. This business centre has three separate offices available. Ranging in size from 236 Sq Ft to 182 Sq Ft, with space for up to 11 workstations. 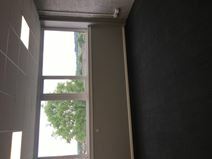 The offices have recently had a new carpet fitted and also air conditioning and heating units. There is also access to a shared kitchen and toilet facilities within the industrial unit. The work space is located within easy reach of the A1, M1 and M18 and also has on-site car parking.